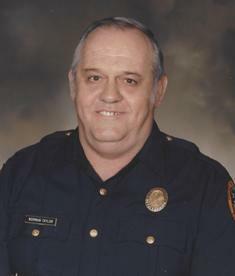 Hulme W. Thomas Jr., 76, of Bethlehem, passed away January 7, 2019 in Lake Harmony, surrounded by his loving family. He was the loving husband of 50 years to Paula Marie (Meixell) Thomas. Born in Carmel, CA, he was the son of the late Elizabeth (Wolf) and Hulme W. Thomas Sr. Hulme served in the 101st Airborne Division of the U.S. Army during the Vietnam War. He then worked as a Field Engineer for IBM and upon retirement worked for Hampton Lanes. Hulme was a problem solver and enjoyed helping others. He was very talented and could build or fix anything. He also enjoyed doing photography privately. Survivors: wife- Paula Marie Thomas; sons- Hulme W. Thomas III “Bill” and his wife Rhiannon, David Thomas and his wife Sandi; grandchildren- Savannah, Daniel, Benjamin, Annabelle and Caleb. A viewing will be held on Saturday, January 12th 9-11AM with a Service at 11AM in Downing Funeral Home, Inc. 1002 W. Broad St. Bethlehem, PA 18018. Burial to follow in Zion Cemetery in Kriedersville. Jean K. (Kozero) Taylor, 79, of Bethlehem and a resident of Holy Family Manor, passed away December 15, 2017 surrounded by her loving family. She was the loving wife of the late Norman E. Taylor. Born in Bethlehem, she was the daughter of the late Leo Kozero and step-daughter of the late Agnes Kozero. Jean worked as an office clerk for various companies, retiring from UGI. 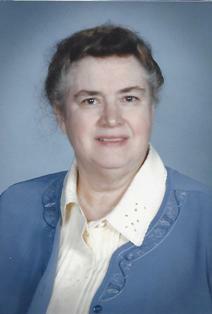 She was a member of Saints Simon and Jude Catholic Church. Jean volunteered for Easter Seals for many years and enjoyed sitting on the porch visiting with her neighbors. She was an avid reader, loved Elvis, Angels and was very passionate about animals. Jean was a wonderful mother and grandmother. Survivors: children- Kim Taylor and husband Scott Seltz of Chatham, NJ, Brenda Taylor of Philadelphia, Wayne Taylor of Bethlehem, Glenn Taylor and wife Laura of Red Lion, Nancy Lasko and husband Keith of Steel City; grandchildren- Connor, Merrick, Brianna, Nicholas, Katelyn, Anne, Jamie and Cody; nieces and nephews. She was predeceased by her sister- Joan Taylor. A calling time will be held Wednesday, Dec. 20th 12-1PM in Saints Simon and Jude Catholic Church 730 W. Broad St. Bethlehem, PA 18018. Mass of Christian Burial will be celebrated at 1PM in the church. Burial to follow in Holy Saviour Cemetery. Arrangements care of Downing Funeral Home, Inc. In lieu of flowers, contributions can be made in Jean’s memory to the Center for Animal Health and Welfare 1165 Island Park Rd Easton, PA 18042. Felicia Tabor, 77, of Bethlehem passed away November 13, 2017. Born in Parsons, Wilkes-Barre, PA, she was the daughter of the late Richard Sr. and Florence Miller. She was the wife of Norman Tabor, also from Wilkes-Barre. They celebrated fifty-three years of marriage this year. She attended Coughlin H.S in Wilkes-Barre and went on to receive her B.S. from Misericordia College, majoring in mathematics and minoring in physics. She taught mathematics at Crestwood H.S. in Mountaintop, PA before marrying her husband. A dedicated wife and mother, who after raising her three children, completed her career in education at Southern Lehigh Middle School as a special education instructional assistant. She was a devout member of Ss. Simon and Jude Roman Catholic Church. She was predeceased by her parents and her brothers, Richard Miller Jr. and Eugene Miller. Survived by her husband Norman, her sister Nancy, her three children Anne, Catherine, and Edward, along with her nine loving grandchildren. A viewing will be held Monday, November 20th 10:15-11:00AM with a Mass of Christian Burial to be celebrated at 11AM all in Ss. Simon and Jude Roman Catholic Church 730 W. Broad St. Bethlehem followed by interment in Holy Savior Cemetery. 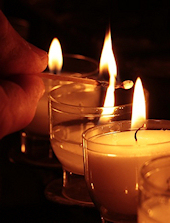 Arrangements entrusted to Downing Funeral Home, Inc.
Gerald “Jerry” M. Tate, 73, of Bethlehem, passed away on July 1 surrounded by his loving family. He was the devoted husband of 38 years to Janet (Davis) Tate. Born in Philadelphia, he was the son of the late Aloysius and Rita (Convery) Tate. 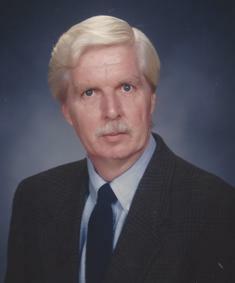 Jerry graduated from the University of Scranton and taught at East Hills Middle School for 25 years. Survivors: wife- Janet Tate; son- Ethan and fiancée Tricia Howell of Charlottesville, VA; daughter- Meredith Tate and partner James Ward of Allentown. A calling time will be held Friday 9-10AM with a service to follow at 10AM in Downing Funeral Home, Inc. 1002 W. Broad St. Bethlehem, PA 18018. Burial to follow in Holy Saviour Cemetery. Contributions will support science-related activities for students. 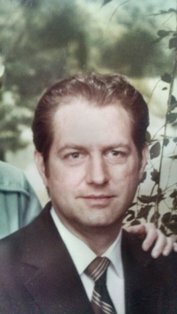 Glenn R. Toth, 50, of Pennsburg, passed away June 8, 2017. Glenn graduated from Central Catholic High School in 1985. He received his B.S. in Accounting from DeSales University, graduating with Honors and from Chestnut Hill College with his Masters in Science in Clinical and Counseling Psychology. Glenn worked as a manager for Cogan Blueprint in Bethlehem, and then for Livengrin Foundation and currently as a therapist for Haven House, since 2013. Glenn had a passion for many things, including cycling, cooking, fishing and riding his motorcycle. He was very talented but he was also known for the compassion and support he provided to others, both through his work and personal life. He will be deeply missed. Survivors: mother- Carol Cogan and step-father- Dennis Cogan; grandmother- Frances Graaf; half brother- Robert Toth and half sister- Danielle Toth. A viewing will be held on Tuesday, June 13th 6-8PM with a Service at 8PM all in Downing Funeral Home, Inc. 1002 W. Broad St. Bethlehem, PA 18018. Contributions can be made in Glenn’s memory to Haven House 1411 Union Blvd Allentown, PA 18109. Merl J. Turzanski, 91, of Bethlehem, passed away November 22, 2016. He was the loving husband of 64 years to Elizabeth “Josephine” (Steinbacher) Turzanski. Born in Williamsport, he was the son of the late John and Anna (Matkoski) Turzanski. He served in the U.S. Army Air during WWII. Merl retired from PP&L in 1986, after 34 years of service. He was a founding member of Notre Dame of Bethlehem Catholic Church, where he was a Eucharistic minister and volunteered much of his time. Merl was a Knight of the 4th Degree with the Knights of Columbus. He was a part of Air Force MARS since 1968, the Civil Air Patrol and Communications Section since 1971. Merl was previously an Eagle Scout, Scout Master and held various other positions. Wife- Elizabeth “Josephine” Turzanski; Son- Michael Turzanski and wife Susan Peloquin of Burlingame, CA; Daughters- Mary Konek of Center Valley, Ann Souzer of Grove City, Elizabeth and husband George Kost of Berwick, Margaret and husband Norman “Pete” LaCoe Jr. of Clark Summitt; 7 Grandchildren; 8 Great Grandchildren; Sister- Victoria Huffman of Lebanon. He was predeceased by his brother- Victor Turzanski. A viewing will be held Tuesday November 29th 10-11AM with Mass of Christian Burial at 11AM all in Notre Dame of Bethlehem Catholic Church 1861 Catasauqua Rd Bethlehem. Burial to follow in Holy Saviour Cemetery. Arrangements entrusted to Downing Funeral Home, Inc.
Norman E. Taylor, 79, of Bethlehem, was surrounded by his loving family on Thursday, Sept. 10, 2015, when he was called to his final rest. He was the loving husband of 57 years to Jean (Kozero) Taylor. Born in Lehighton, he was the son of the late Robert and Iola (Hontz) Taylor. Norman retired after 26 years as a Police Officer for the City of Bethlehem. He was a member of Saints Simon and Jude Catholic Church. He enjoyed fishing, hunting and gardening. Wife- Jean Taylor; Children- Kim Taylor and husband Scott Seltz of Chatham, NJ, Brenda Taylor of Philadelphia, Wayne Taylor of Bethlehem, Glenn Taylor and wife Laura of Red Lion, Nancy Lasko and husband Keith of Steel City; Grandchildren- Connor, Merrick, Brianna, Nicholas, Katelyn, Anne, Jaime and Cody; Sisters- Eleanor Holden of NV and Pearl Denton of NY. He was predeceased by 10 siblings. A viewing will be held Wednesday 10AM-12PM with Mass of Christian Burial at 12PM all at Saints Simon and Jude Catholic Church 730 W. Broad St. Bethlehem 18018. Burial to follow at Holy Saviour Cemetery. Arrangements care of Downing Funeral Home, Inc.
Norman’s family would like to thank EVERYONE at Holy Family Manor for the compassionate and loving care which extended Norm’s life beyond all estimates and as long as earthly possible. In lieu of flowers, donations can be made in Norman’s memory to Holy Family Manor 1200 Spring St. Bethlehem, PA 18018. 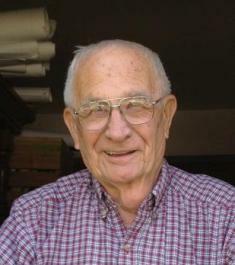 Frank A. Tantsits Sr. 84, of Bethlehem, passed away Sunday, January 19, 2014. He was the loving husband of the late Margaret A. (Palermo) Tantsits. Born in Coplay, he was the son of the late Alois and Elizabeth (Strasser) Tantsits. Frank was a retired Master Sergeant in the United States Air Force and also retired as a construction inspector. He was a member of Notre Dame of Bethlehem Catholic Church and a member of the Knights of Columbus. Surviving are a son, Frank A. 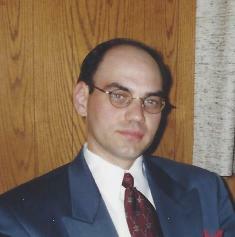 (Shelley) Tantsits, Jr. of Swansea, IL; a son, Mark A. 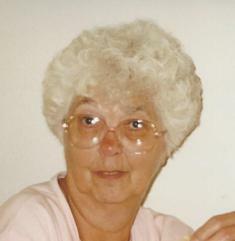 (Brenda Ferraira) Tantsits of Bethlehem, PA.; a daughter Kristine A. (Michael B.) McGinty of Swansea, IL; five grandchildren, Bailey A. (Andrew) Spier, Nicholas A. Tantsits, Katie and Sean McGinty and Audrey (Derek) McGinty-Vaughan; one great-grandson, Owen A. Vaughan; one brother, Edward (Priscilla) Tantsits of Allentown, PA.
A viewing will be held Wednesday 6-8PM in Downing Funeral Home, Inc. 1002 W. Broad St. Bethlehem, PA 18018. Mass of Christian Burial will be celebrated Thursday at 10:00AM in Notre Dame of Bethlehem Catholic Church 1861 Catasauqua Rd Bethlehem. Burial to follow in Cedar Hill Memorial Park. In lieu of flowers, donations can be made in Frank’s memory to the church.